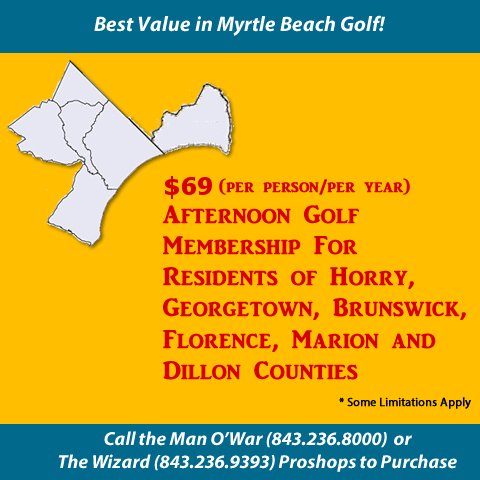 Play The Witch, The Wizard and Man O'War for Cart Fee Only - any afternoon you want to play. No Date Restrictions. Guest of Members will be offered guest rates throughout the year with emailed special rates as they become available. The best rate to play the 3 best golf courses in Myrtle Beach when you want to play in the morning. Must be a Resident of Horry, Georgetown, Brunswick, Marion, Florence or Dillon County.